Today's 0.6.3 update brings quite a few things to make the Nomadic life more bearable. You'll find them in the patch notes on Steam (or our forum). It's most important impact, however, lies in physics. Two little gems of blocks have been added - a rotating plate and a hinge. They might be small on their own, but boy the possibilities they open! When we had first tested them in alpha before Planet Nomads launched on Steam, we'd seen merry-go-rounds, wheel-operated blast doors and goal-scoring football players. The things that make perfect candidates to be featured in Nomadic Journals in the Ingenious Spotlight section. 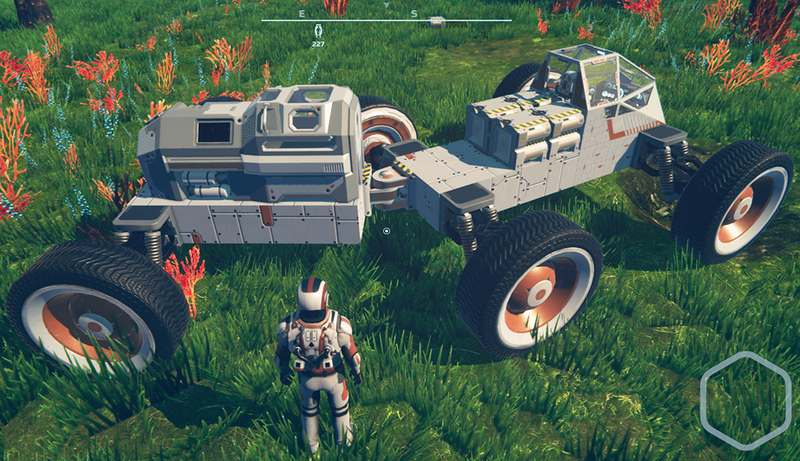 Ever since we began this journey and introduced vehicles in the first alpha version in August last year, the physics engine has been riddled with wobbling wheels that would tear any more complex vehicle into pieces and eventually take it off the planet surface. No more. Today's update fixes that. Watch the video below to see what we mean. It's not 100% bullet-proof. But it's about 80% of pure improvement. And that counts. Further good news - we believe we can improve it even more. 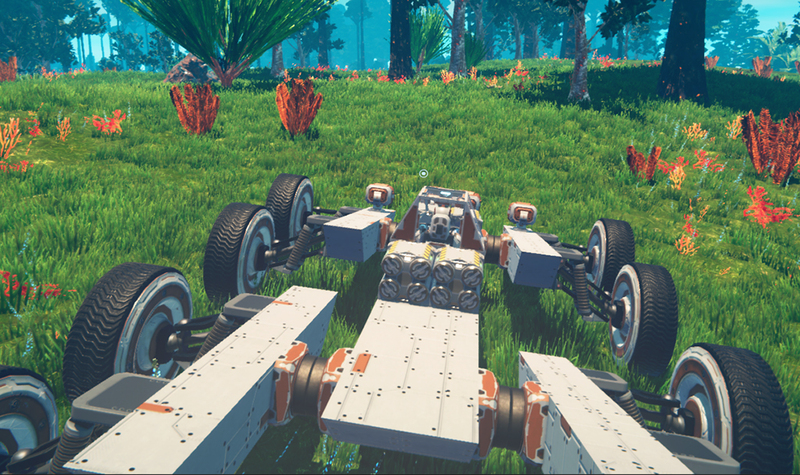 If you still manage to get your vehicle flying, send us the save and we'll do some tests and play some tricks. Talking about improvements, our goal is to bring the review score of Planet Nomads on Steam to 80% positive reviews. We are convinced that every update for the game will bring us closer to that mark, especially the major ones coming later in summer. We plan to remove the Swiss cheesiness of planets while keeping caves in. However this change isn't possible without wiping saves - because it requires changes in the noises generating the planet, and afterwards the planets generated from identical seeds will be different and the things you've built could be... weird (as in levitating weird, completely submerged weird, on a different part of the planet weird). So we're going to compound all wipe-requiring changes (less holes on the planet, better animal path-finding, new starting biome) into a single update. Then we start working on a new set of planets with new biomes, which can be changed without affecting the original ones (AKA no wipes needed). That's it for today's update. We know you guys eagerly await the FOV changer and key bindings. They are coming a bit later. Looks like it could be next week already. For now, enjoy the new physics experience.